Hundimiento Zona 2 (1), originally uploaded by Gobierno de Guatemala. This impressive photo is from the official Flickr stream of the Guatemalan government. 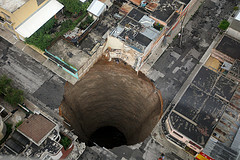 It’s a sink hole, and it just occurred. Hard to believe, right? 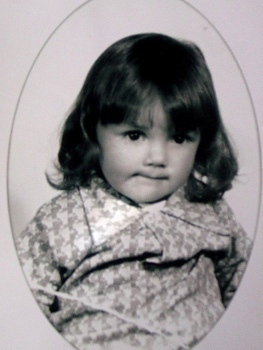 Look deep into the eyes of the little child in the photo and try to guess who it is. I will post the answer in a few days. Those of you that already know – not because they guessed, but because they saw the source of the photo – please refrain from ruining it for everyone. The winner will receive an imaginary check for $99. 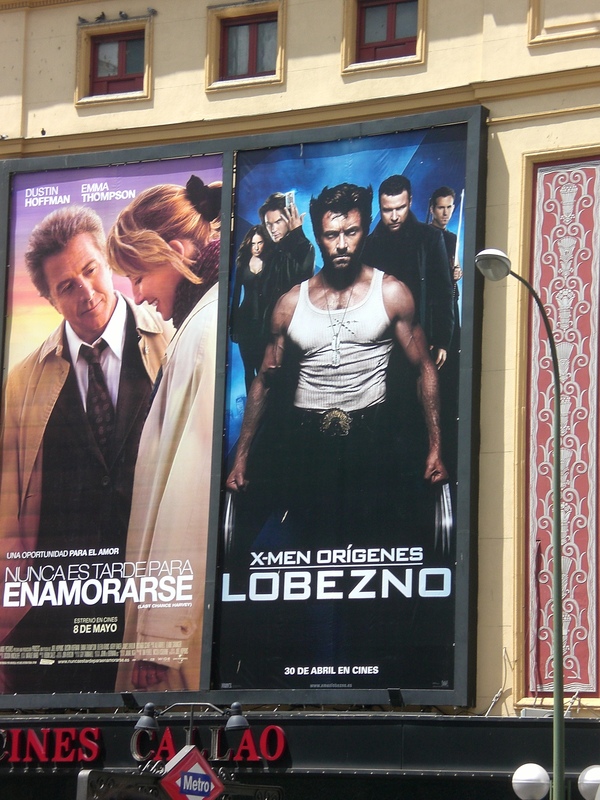 In Spain, they translate EVERYTHING, even movie titles. Oddly enough, I distinctly remember Wolverine was called “Guerpardo” in the Spanish-dubbed X-Men cartoons. Thanks to Carolina De La Lanza for the photo.